Aspiring candidates who want to join banking industry in the country apply for IBPS conducted banking personnel examinations every year. 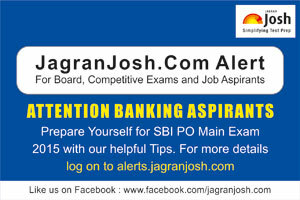 Aspiring candidates who want to join banking industry in the country apply for IBPS conducted banking personnel examinations every year. Lakhs of candidates apply for the posts vacant throughout the nation and selections are done through intensive written and interview tests. This year the candidates need to face prelims as well as mains written examinations to get through to the interview round. The prelims and mains examination is scheduled for October 2015 for this year’s recruitment. It is expected that the prelims would see a less tough question than that of the mains and would allow filtering eligible and deserving candidates for the mains examination. The exam contains three sections namely English Language, Quantitative Aptitude and Reasoning Ability. These sections contain 100 marks in total giving candidates 1 hour time to solve the same. The quantitative aptitude paper is quite a time taking one and the candidates need to take extra care for this paper as this one paper is capable of make or break their chances to move forward. Hence it is required to start practicing with keeping the time factor in mind for the prospective candidates who wish to score well in the examination. Work on your calculations: It is very important to enhance your calculating skills for this paper. It is thus becomes important to improve calculation or approximation techniques used by the candidates. It saves enormous time while solving the problems. Questions related to algebra, square and cube roots, permutation and combinations, probability require calculating speed in part of the candidates. Using of speedy calculation techniques like Vedic Maths helps a lot. Proficiency over calculation can only be achieved through constant practice and zeal for the subject. Focus on the Basics: The level of the prelims is expected to be less than the mains examination and thus the candidates are advised to focus on the basic mathematical concepts. Questions related to HCF, LCM, Number system, average, ratio, decimal fractions, Interest, time and distance etc. would be asked in the exam. Thus basic concepts would allow for a better understanding among the candidates, which in return can result to speedy evaluation of the questions. Judge the question right: It is important not to rush into conclusions while answering the questions. The candidates must read the question with complete understanding in order to both save time and energy while solving it. It is thus important to judge the questions in a right manner to answer them effectively. Derive on your own techniques: Sometimes it is better to derive your own techniques to solve a problem rather using the standard technique. It helps saving the time and ensures the candidate about the right evaluation of the questions immediately. Hence it is advisable to search for such tricks and methods which could take down the time to solve questions drastically down.